Dumbwaiters by DME Elevators & Lifts: Serving Illinois, Indiana, and Wisconsin. DME Elevators & Lifts recognizes selecting the right lift provider is just as important as selecting the right lift. Over the years we’ve installed and serviced countless dumbwaiters for businesses as well as private homes. Our advisors make it easy to get the solutions you need, by offering free site assessments. There is no obligation when you reach out to an expert at DME Elevators & Lifts. We understand the convenience a dumbwaiter can provide, and we offer a range of models that can transport everything from groceries and laundry to files and food trays. You can rest assured that DME Elevators & Lifts has already done the research for you, and has rigorously selected only dumbwaiter models that provide superior functionality, design, reliability and value. Serving our community since 1977, DME Elevators & Lifts has the extensive knowledge and experience to be able to provide you with Excellence in Elevation. 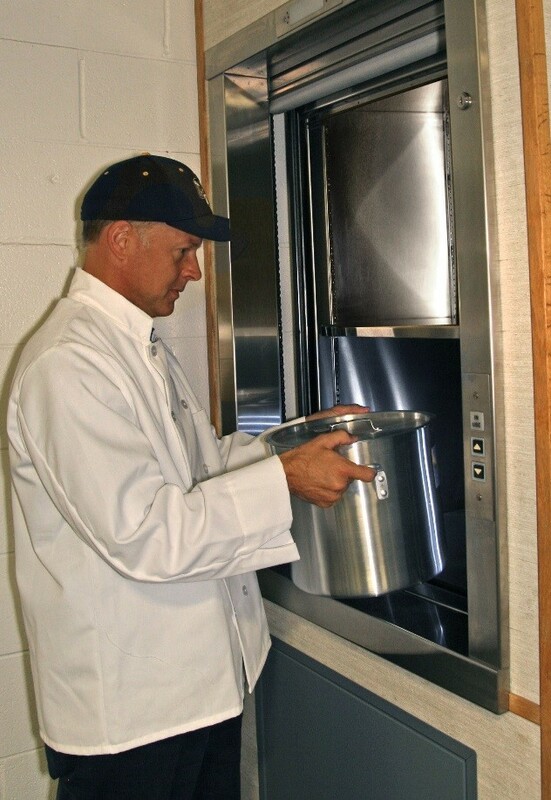 Our advisors will help you determine the dumbwaiter placement, size and capacity that will match your needs. 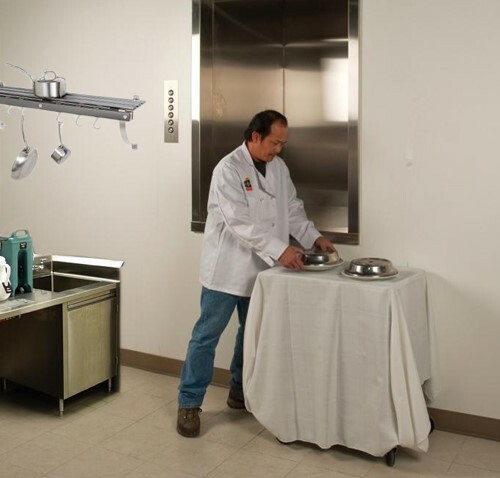 We guarantee your dumbwaiter will be installed with efficiency and professionalism by DME Elevators & Lifts’ fully trained and certified in-house technicians. We never use contracted employees. DME Elevators & Lifts operate three full service facilities that provide installation, maintenance and repair service. You can expect DME Elevators & Lifts to be there for you for years to come. Click on the title below for detailed information about the product you are interested in. Commercial dumbwaiters are intended for all public, private and industrial settings including schools, universities, office buildings, manufacturing facilities and houses of worship to name a few. Dumbwaiters are particularly useful where a passenger elevator isn’t feasible due to site constraints, budget concerns or the type of use doesn’t justify a ‘passenger riding’ vertical transportation product. Below are commercial dumbwaiter models. The Elevation Innovation Inteli-Lift is a highly versatile model coming in a range of configurations with weight capacity of up 500 lbs and 36 cu feet of space. Other models are available with loading capacities of 75, 125 and 250 lbs. The Matot Commercial Grade Winding Drum Elevator is ideal for heavy-duty low-rise applications. The winding drum is rated for 500 lb capacity and up to 50 feet of vertical travel at 50 feet per minute (fpm) speed. Our Winding Drum Dumbwaiters are ideally suited for moving a variety of items from one floor of your home to another. Whether it is laundry, food trays, heavy or bulky items, a residential dumbwaiter will make your life easier. Our pre-engineered standard sizes allow fast delivery and short lead times. Elevation Innovation has a range of residential and commercial dumbwaiters featuring the Econo-Lift for applications in the home. The Econo-Lift comes in either 100 lb of 150 lb load capacity, featuring 30 feet per minute speed and up to 27 vertical feet of travel with three stops.